Three-dimensional lithologic model of the Los Angeles Basin within Los Angeles County. View is due west with a vertical exaggeration of 4:1. The layers are colored according to their ability to transmit water; the lighter colors indicate permeable sand and gravel layers, the darkest are relatively impermeable silts and clays. Red lines indicate earthquake faults. 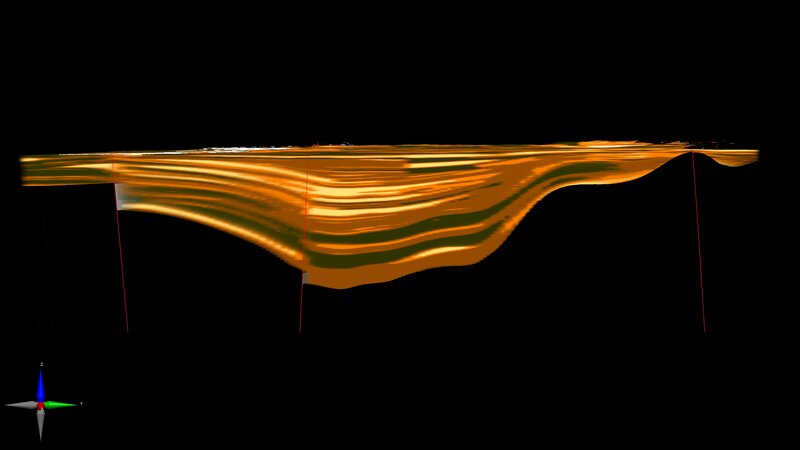 Geometry of the layers constrained by a sequence stratigraphic model of Quaternary-age deposits of the Los Angeles Basin developed by Daniel J. Ponti, USGS. Open-File Report 2007-1013, 34 p.
Lithologic Model of Los Angeles Basin in LA County, Daniel J. Ponti USGS from pweil studio on Vimeo.